Since they love spewing nonsense, why not also give them nonsense? 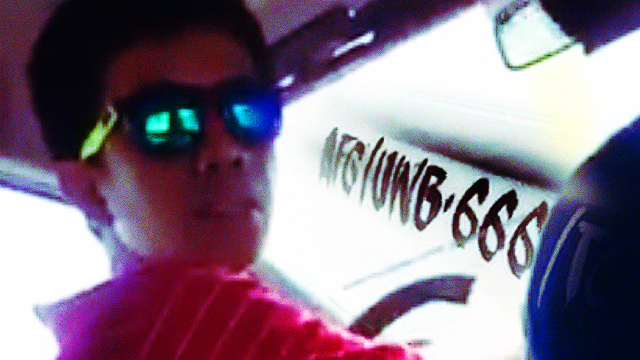 The case of the "Cab Driver from Hell" is now being tackled by the proper authorities. Thirty-seven-year-old taxi driver Roger Catipay picked the wrong passenger, Joanne Garcia, to harass. He ended up in a viral video that's currently the talk of the town. He's also now facing criminal charges (unjust vexation and possibly, minor physical injury according to Gmanetwork.com) for his misdeed. We've all had stressful experiences with terrible cabbies. As if the horrendous Manila traffic isn't enough, we encounter crazy drivers like Catipay, who baffle us on how the hell they got accepted for the job in the first place. No wonder more and more are opting for GrabCar and Uber these days. On the not-so bright side, there is the less violent kind: Those who try to smooth talk their way out of an unwanted passenger. We call him the "choosy manong driver." The FHM staff has had one too many of these douchebags behind the wheel. That is why we thought of clever ways to respond to and in a way, get even with these picky assholes. Since they love spewing nonsense, why not also give them nonsense? 1) Choosy manong driver: "Gagarahe na 'ko eh..."
FHM's Basag Reply: "Tama, tapos huwag na huwag ka na uling babiyahe!" 2) Choosy manong driver: "Out of the way, ser..."
FHM's Basag Reply: "Maglagay ka na rin ng signboard ng ruta mo!" 3) Choosy manong driver: "Kakain ako eh..."
FHM's Basag Reply: "Sabayan na kita!" 4) Choosy manong driver: "Ma-traffic ho run eh..."
FHM's Basag Reply: "Sa panahon ngayon, saan pa ba hindi?" 5) Choosy manong driver: "Malayo ho..."
FHM's Basag Reply: "Dadagdagan ko naman ng limang piso eh." 6) Choosy manong driver: "P500 ho hanggang dun..."
FHM's Basag Reply: "Sige, basta akin na pati pinto ng taxi mo." 7) Choosy manong driver: "Anong oras na ho eh..."
FHM's Basag Reply: "Oo nga, oras na para magpalit ka ng trabaho!" 8) Choosy manong driver: "Ang dami niyo eh (kahit apat lang naman talaga kayo). Malambot 'yung gulong ko sa likod..."
FHM's Basag Reply: "Pantayin na natin, bawasan din natin 'yung hangin nung mga nasa harap!" 9) Choosy manong driver: "Sira 'yung air-con ko eh..."
FHM's Basag Reply: "Eh di sa Baguio ka mamasada para kahit bukas 'yung bintana mo malamig!" 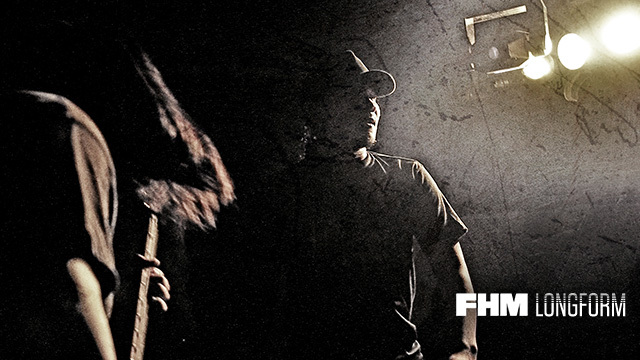 This Is Pinoy Death Metal...And It's Very Much Alive!